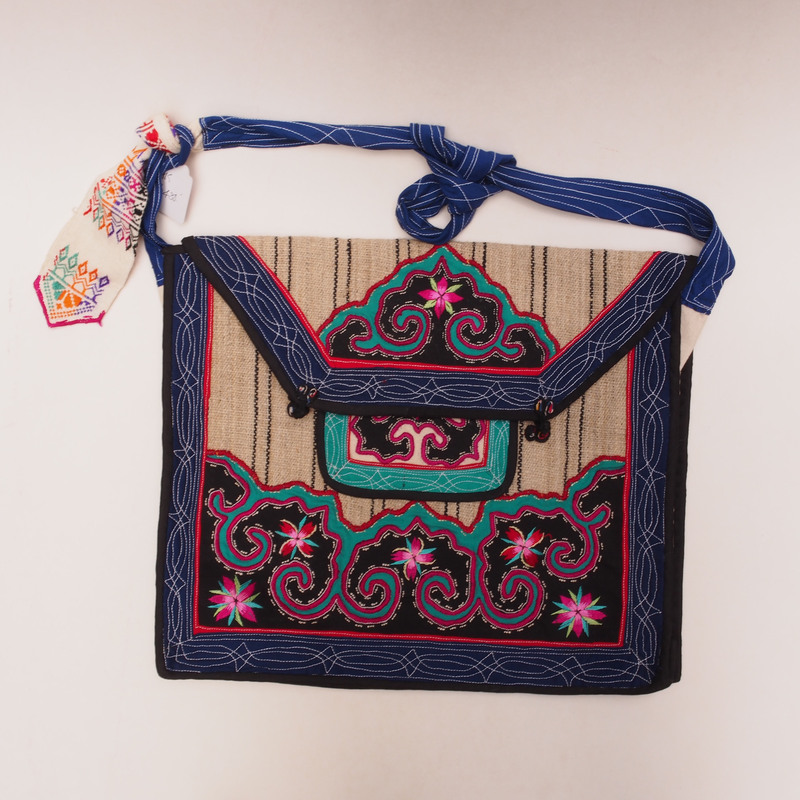 This shoulder bag is from the Bai tribe of China. 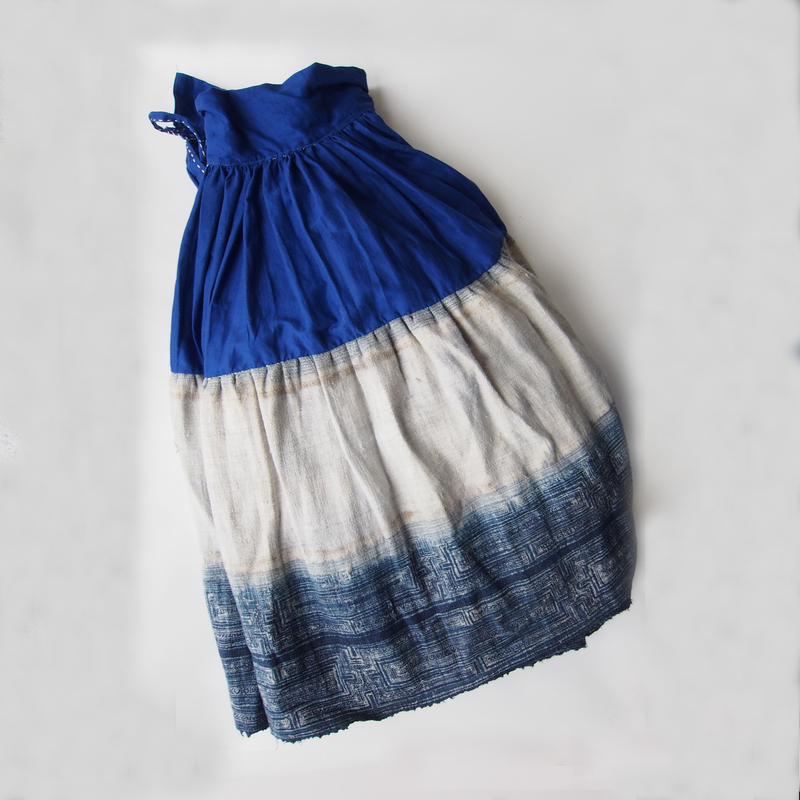 Composed of embroidery, patchwork, though colourful has a beige handwoven cloth as the base for the bag. White is the colour for the Bai tribe (Bai meaning white), they based their costume on this colour, the noblest of colour. This costume belonged to the Sanjiang Dong Tribe of the Guangxi area. 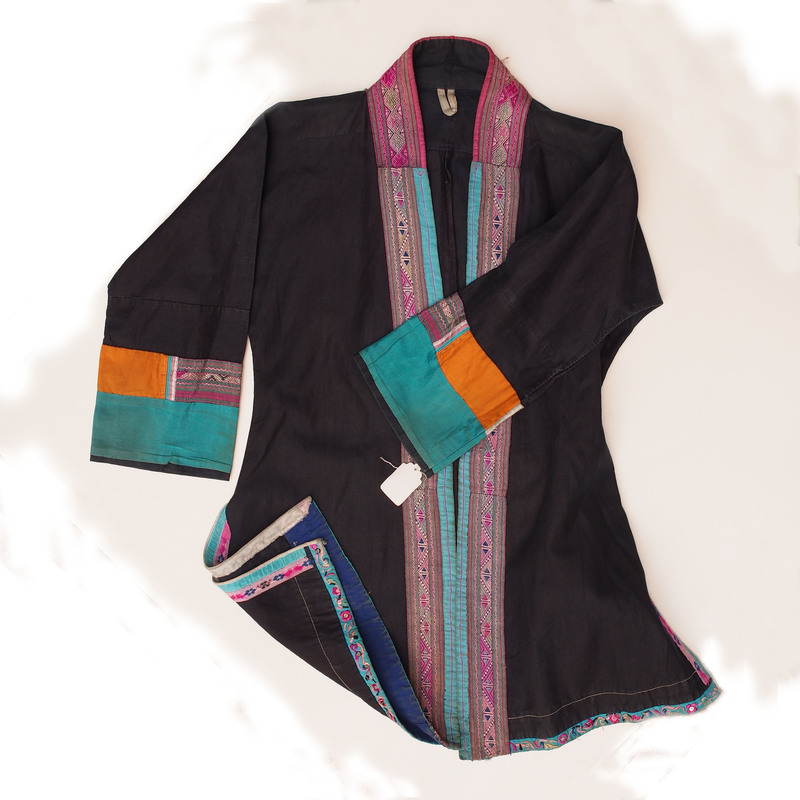 The garment is made with handwoven fabric with brocade trimming around the collar and placket, a decorative embroidery trimming is added to the bottom of the jacket. It would be worn as an opened jacket revealing the embroidered du dou that is worn underneath. A piece of hand embroidery from the minority tribes of the Yunnan province. A simple geometrical composed with x-stitch embroidery, this piece consist of 3 trimmings for sleeves or pockets, adding some fine details to the costume. 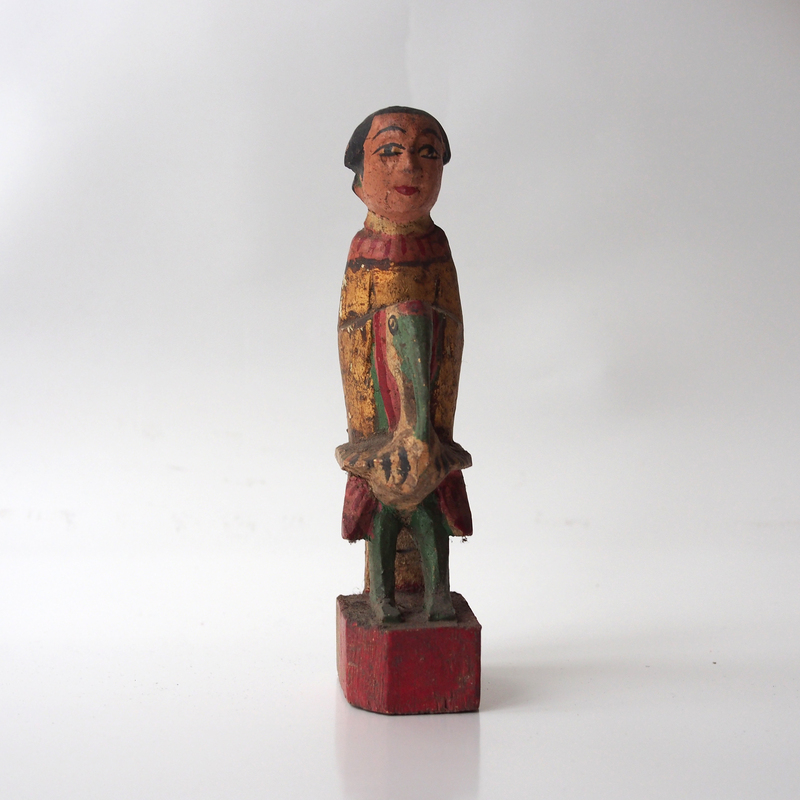 This figurine belonged to the Tanka tribe, a group who lived on junks by the bay and fish for a living. In the Guangdong area, it said that their junks used to be tied together which stretches a mile long. As time goes by, with development along the coastline, better living offer on land, most and almost all of the junks have disappeared. 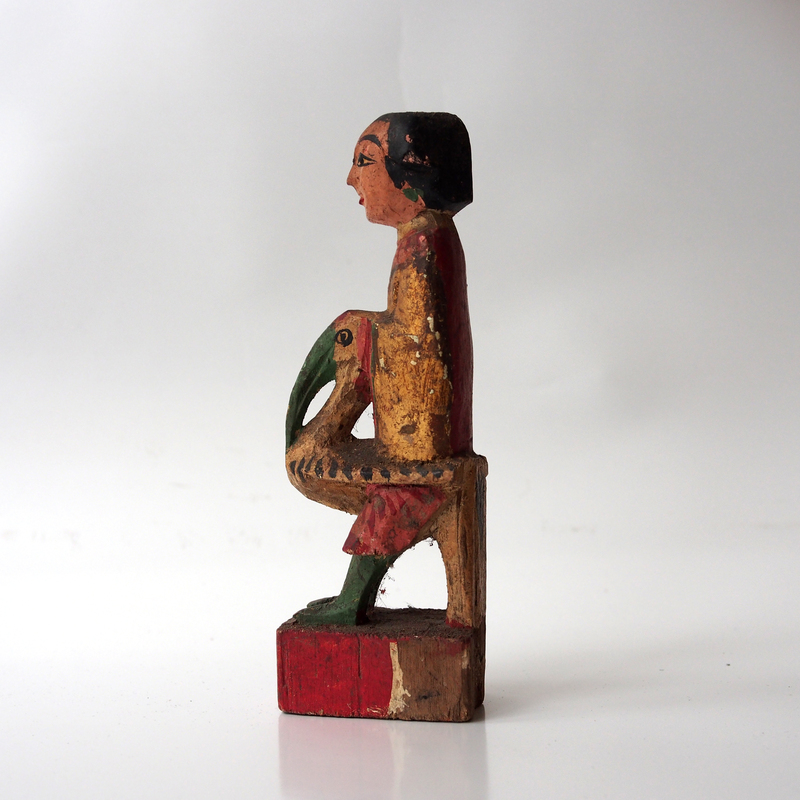 This is an ancestor figurine of a middle ranking female, the crane symbolizes a departure from this world like the saints. 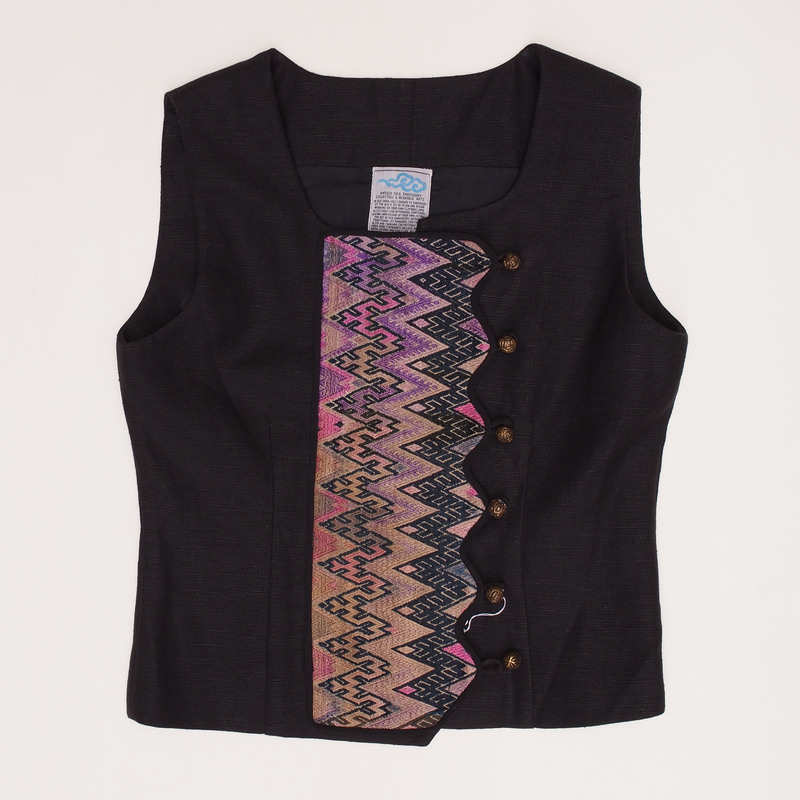 A waist coat we have designed with a piece of brocade from the Miao tribe. In traditional Miao costume, its normally found as a decoration for collars, sleeves, as well as for baby carriers. For needle brocade, the technique used for this fabric please fwd to 9m20s. This is an effigy of a elder female ancestor of the Tanka tribe. 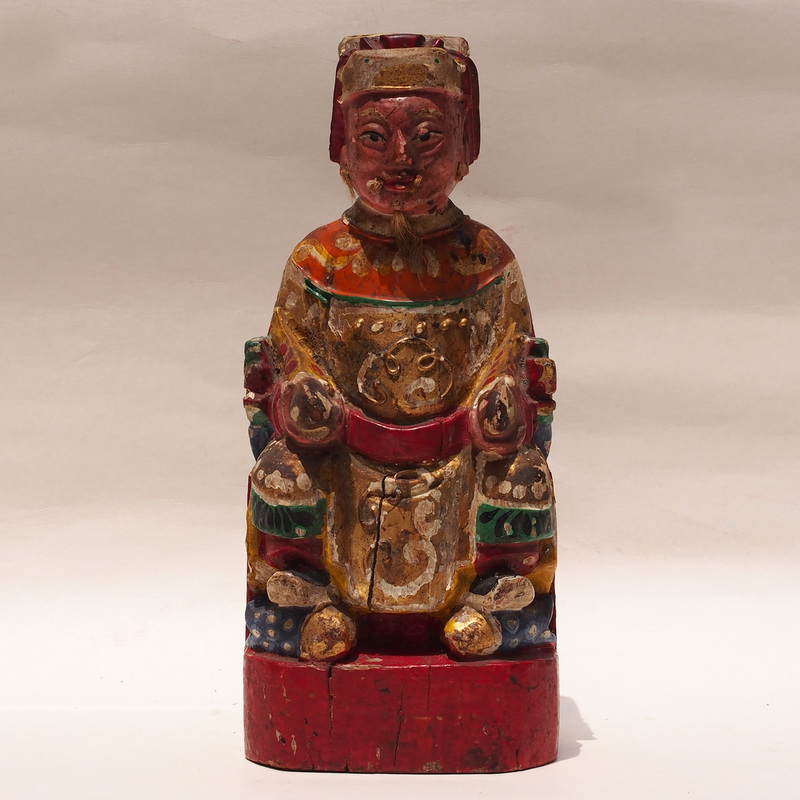 These ancestor figurines were kept at the boats of the Tanka fisherman offering them safety at sea. Click here to see our other junk boat gods. 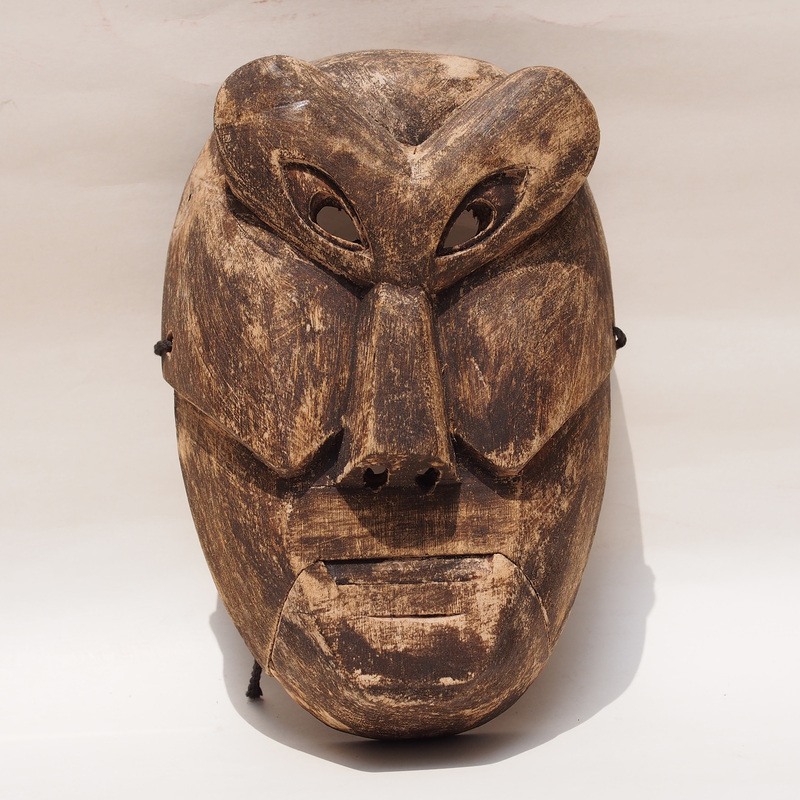 This mask belongs to the Mah Meri tribe. Mah Meri means “People Forest”, they believes that all mythological characters are supreme and that ancestral spirits use plants and animals to make food for humans. The Jo-Oh masks are said to give spiritual power to the wearer during dance rituals, representing the soul of the ancestors. 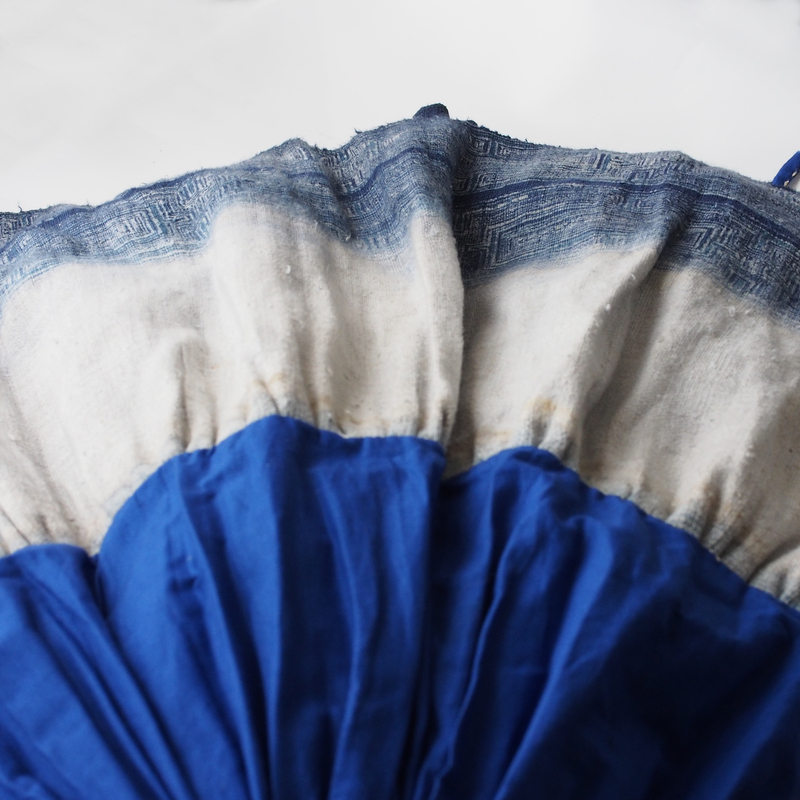 A wrapped around skirt of the Miao tribe. The Miao tribe made their own costume, fabric from scratch. Starting from the plant, making threads, weaving, wax resist painting, dyeing, making a costume. Please watch this amazing documentary about the Miao and the hemp, it is a million time better than I can describe in words. 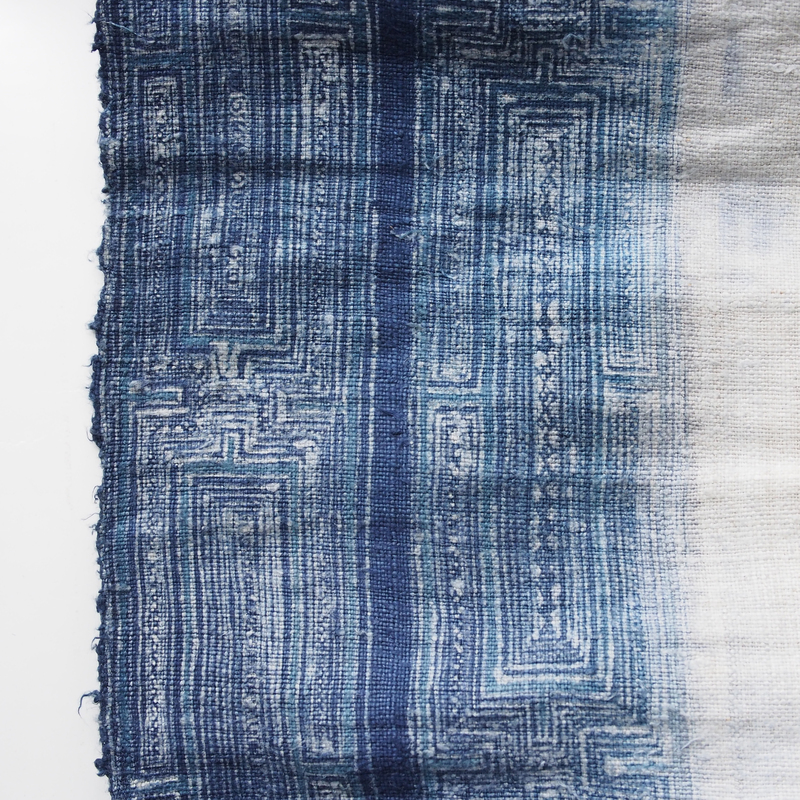 This is a section of a patchwork from the Miao tribe. I find the creatures on the patchwork processing a lot charm, as this is handmade even if they are the same kind, are different. This simple beauty is already hard to find in the digital age. On this patchwork there are flowers, butterfly, fish, birds and dragons. 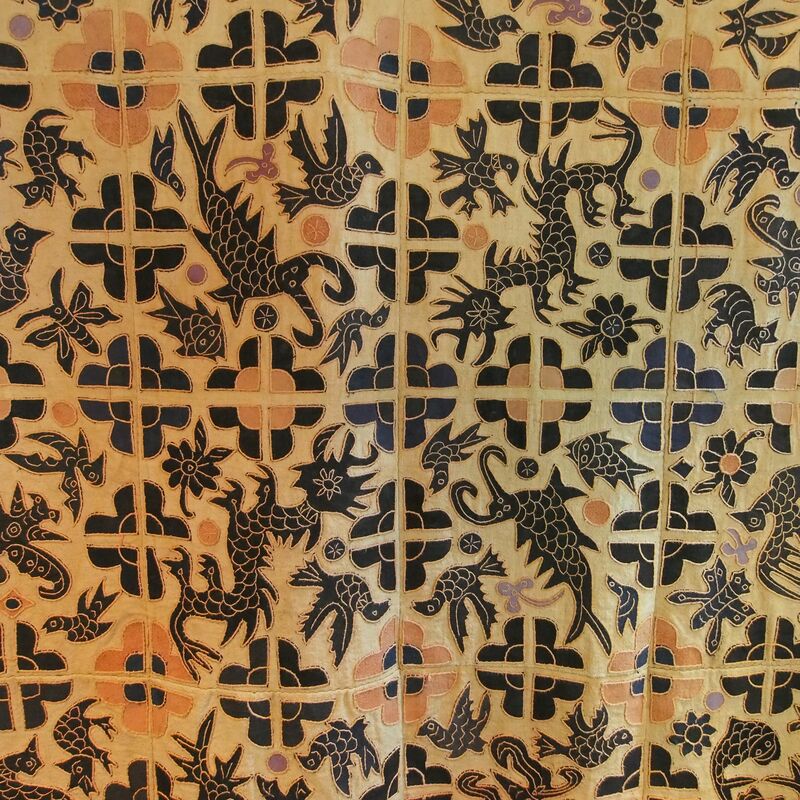 The Miao believes that creatures are interchangeable; a man can become a dragon and vice versa, fish butterfly, flowers and bird can also turn into dragon. Recorded in one of the ancient songs, the butterfly has 12 sons, they had a fight and the water dragon was chased away. He escaped through the waterways and into the ocean, then he realised he has forgotten to bring his money! The fish surrounded his and offered him the money and he was able to become the king of the ocean. There used to be a lot of these ancient songs which get passed down by mouth through generations, sadly only 12 songs were left. Hand weaving used to be a traditional household craft for the minority tribes in China, the females would spend their passtime weaving fabric for the use of the family. During these times, not only would the mother would be passing the technique to her girls, it is also a social gathering for the family. 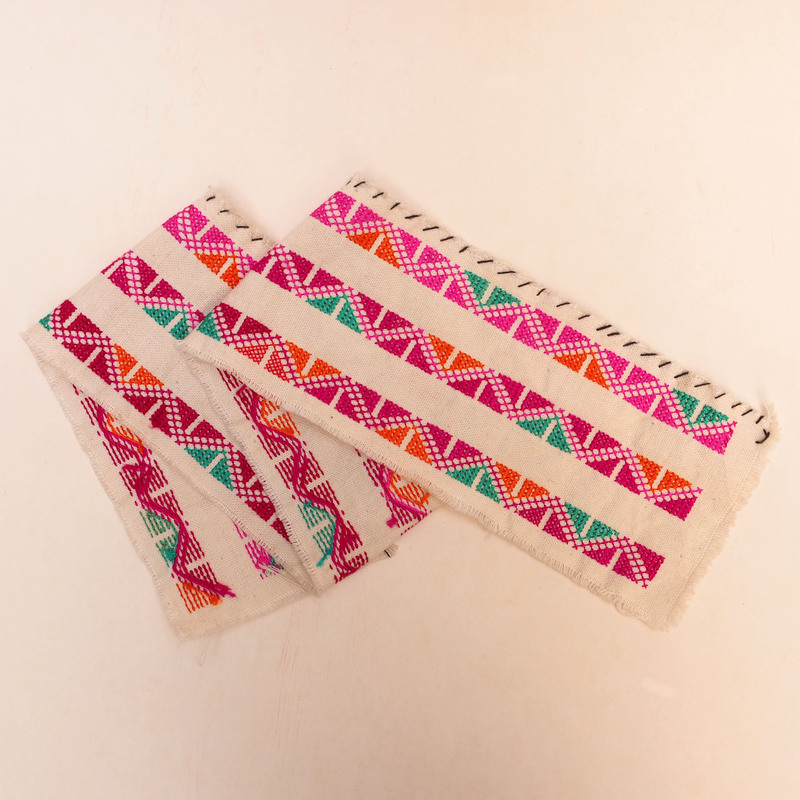 However, with the industrial development of China, it is much easier to buy ready made clothes instead of starting from making a piece of yarn. For the younger generation, the prospect is also brighter to work in a factory in a city than farming in the village. Time has changed, social gathering happens in front of the telly or with the mobile. 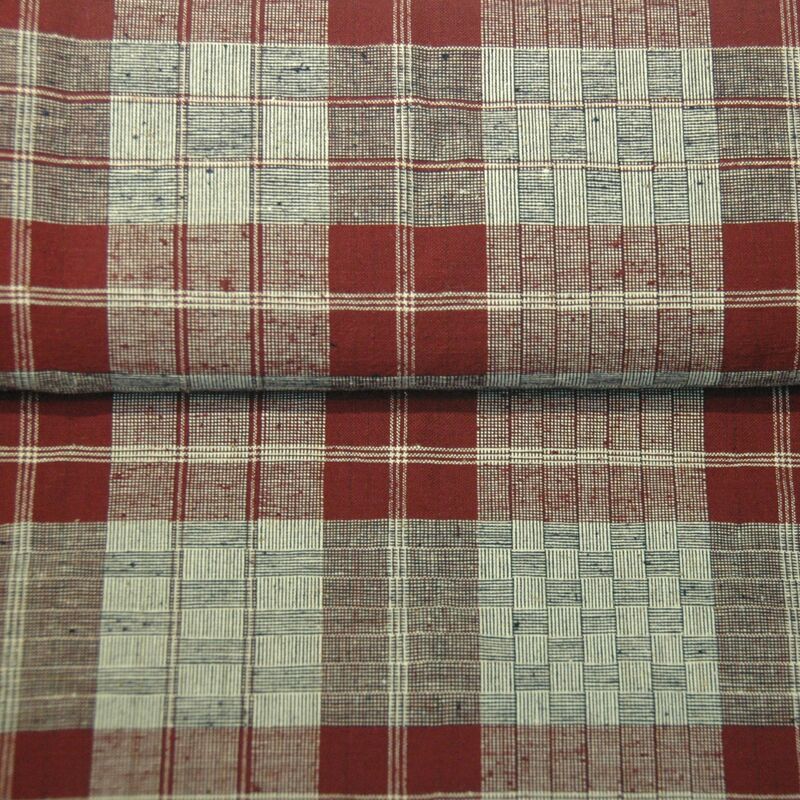 This hand woven fabric from our collection is sadly becoming past of history.